Draw point grid 20 x 20 x 20cm. This dimension is for lasercutting. Gumball-extrude: create surface by extruding a curve along the axis X/Y/Z. Surface tool: from 3 to 4 corners, rectangular plane, fit plane through points. Split and Trim: cutting object has to be bigger than object to trim or to split. 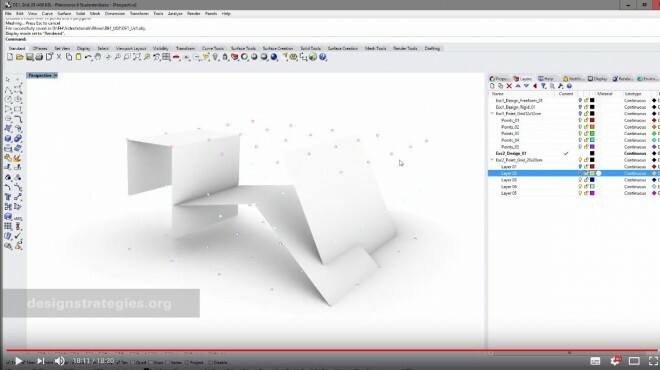 Create temporary helper surface. Join surfaces for export and export selected as .obj file format.